Busworld Europe 2017: a huge success! On 25 October, Busworld Europe 2017 held two-yearly came to an end, as the largest and oldest specialised exhibition for busses and coaches. Over 6 days, our sales teams presented our wide range of replacement parts for coaches, busses and trams to professionals from across Europe (Belgium, France, the Netherlands, Germany, Scandinavia, Poland, Bulgaria, Estonia and Slovenia), from Asia and the Americas (USA and Mexico) in addition to the Middle East. Presented as an exclusivity, the new Knorr-Bremse Gen2 screw air compressor specially designed for electric and hybrid vehicles was a resounding success with visitors. 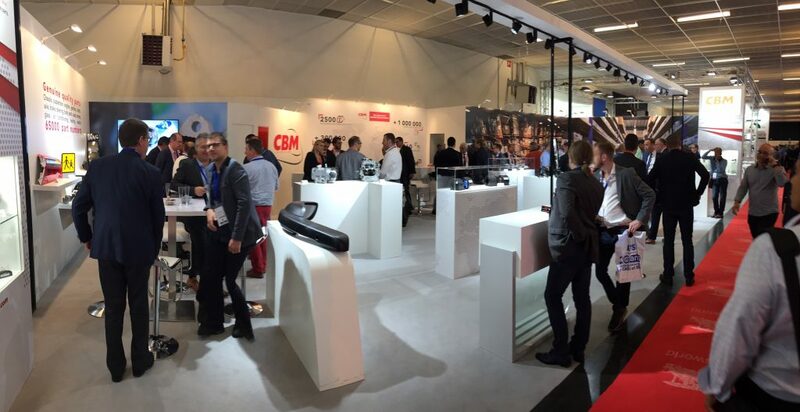 Yet again, our teams were able to observe the industry’s interest in our range of leading-edge technology products (more than 65,000 products from top notch parts manufacturers) and forge new promising contacts. CBM would like to thank you for your visit. We were thrilled to have hosted you at our stand.